Spray casserole dish with cooking spray and set aside. Add spinach and cook until wilted, about 2 minutes. Transfer cooked spinach into the casserole dish and spread well. 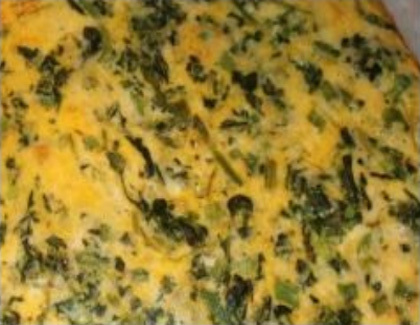 Spread onion and cheese onto the spinach layer. In a small bowl, whisk together eggs, pepper, spike seasoning, and salt. Pour egg mixture over spinach mixture and stir gently.